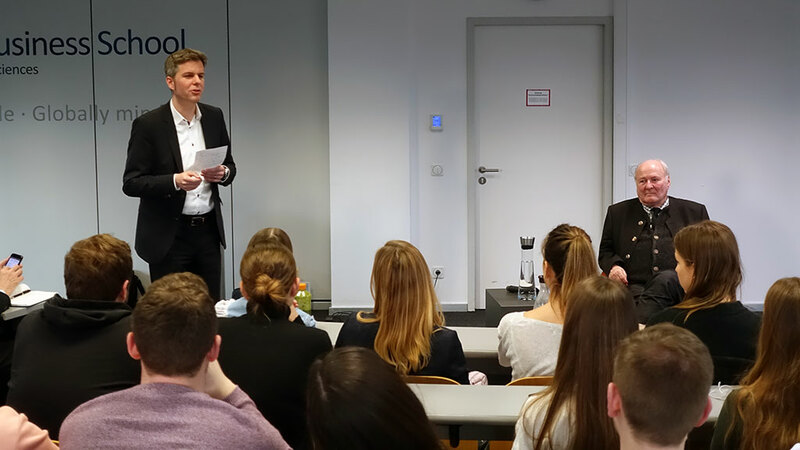 On a regular basis, entrepreneurs from various industries visit Munich Business School to share their experiences with MBS students. 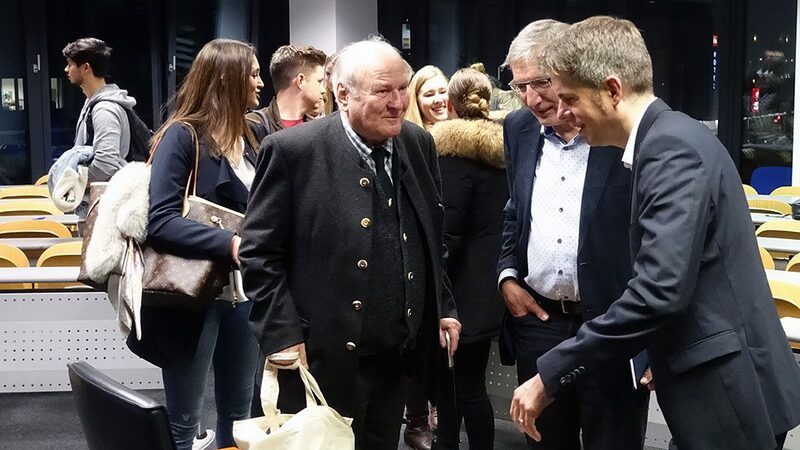 Just as yesterday evening, when MBS Professor Dr. Christian Schmidkonz welcomed a very special guest: Professor Dr. Claus Hipp, Managing Partner of the renowned (baby) food manufacturer HiPP. 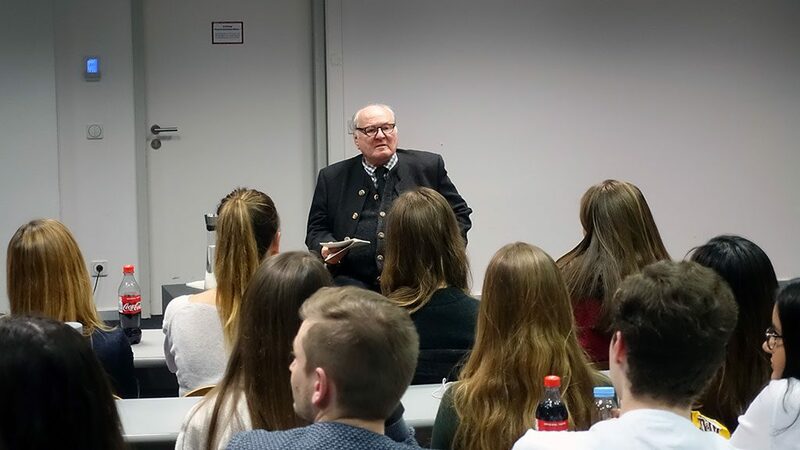 Hipp, whose name stands like no other for sustainable and ethical entrepreneurship, addressed various aspects of corporate ethics during his lecture “Der ehrbare Kaufmann” (approx. 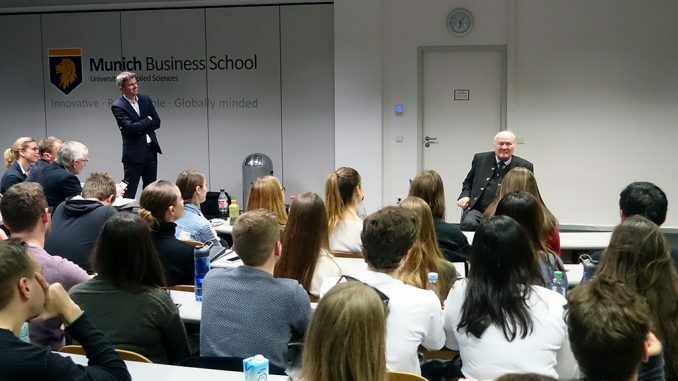 “The Honorable Businessman”): he spoke about how to deal with customers, suppliers, employees, and competitors in a fair and decent way, shared his opinion on controversial issues such as (over)regulation and tax avoidance – and also touched on topics such as education and politics. In addition, Professor Dr. Hipp shared one or two anecdotes from his eventful career as a committed entrepreneur and passionate artist. 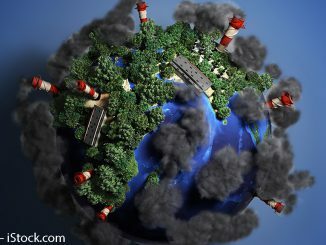 We would like to thank Professor Dr. Hipp for visiting MBS, and for sharing his experiences with our students! What Makes a Sports Brand Great?